Alpha dogs know what they want. They want real meat for dinner. No grains, no gluten, no fillers – just real, fresh meat. 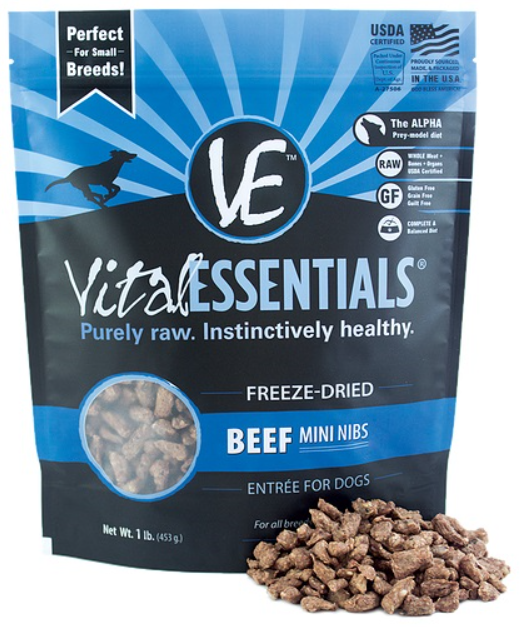 With Vital Essentials Freeze-Dried, that’s exactly what your dog will get, an “Alpha” prey diet…just as nature intended. Locally sourced from America’s heartland, with a perfect blend of fresh, wholesome beef, bone and organ meats; this food can be served as a complete and balanced meal, a nutritious treat, or mixed with kibble. Anyway you serve it, you can’t go wrong; the benefits are visible within weeks – Long live pets!